CROWN HEIGHTS — We have already told you about Izzy’s opening up its third business — a fried chicken spot— in Crown Heights. Here’s the scoop on what’s ahead among the growing retail spaces in the neighborhood. Located at 75 Utica Avenue (between Dean and Pacific Streets), this cafe promises to bring some life to this drab section of the avenue. The retail space will seat 38, including a small bar that fits six patrons. The owners are no strangers to the restaurant business. Davis Alexander owns Prive Lounge (formerly D’Savannah) at the Flatbush and Nostrand Avenue junction. The bar/lounge has been a popular Carribean food and drinks spot since 2013. No details on the opening, but Community Board 8 did vote to send a letter of recommendation to the New York State Liquor Authority. 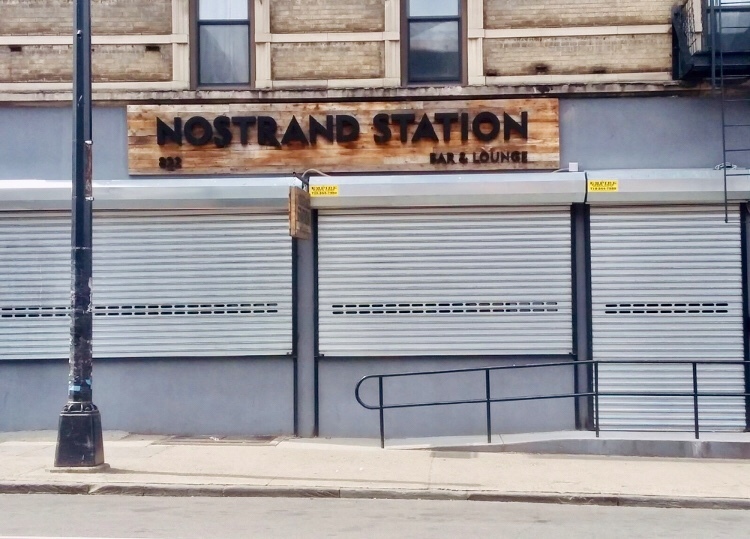 Crown Heights residents have been eyeing the shiny gates and wood signage for a while. The construction started about a year ago. Located at 818-822 Nostrand Avenue near (between Lincoln Pl. & Eastern Pkwy), the bar/tavern replaces a large longstanding vegetable stand. The menu will resemble typical bar food, including mozzarella sticks and chips and guacamole. There’s a full bar that seats around seven and a dining area that seats around 18. Sound small? Don’t worry. Up to 75 bar-goers can pack the venue, thanks to the nearly 400 square foot lounge in a second room. Recorded music included. The owner, Arian De Roche, previously owned 739 Franklin Avenue which appears to have closed in 2015. The/bar restaurant served cocktails and a smorgasbord of food from pizza to sandwiches. Representatives said they anticipate a summer opening. This is such a good scoop it doesn’t have a name yet! We can tell you it’s located at 446 Park Pl. at Washington Ave., where the Half Court Sports Bar once stood. Co-owner Michael O’Neil has a long history of bar ownership — he owns four in Brooklyn (mostly in Carroll Gardens and Park Slope) and one Upstate New York. For this location, he and his partner bring small bites, sandwiches, cocktails and craft beer. The corner space fits just under 40 people with about a dozen seats at the bar. 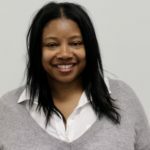 “My partner [in business] Paul lives a couple of blocks away and loves it over there,” O’Neil told Bklyner during a short phone interview. Owners anticipate a late June opening. Calling someone’s neighborhood “drab” in the face of new development is harmful. As gentrification continues to move further east and threatens to displace Long term resident, especially the most vulnerable, we have a responsibility in our journalism to be sensitive and explicit. Do you instead mean this is an area with minimal restaurants and nightlife. Language matters.